A southern Chinese city is offering handsome cash rewards to residents who can provide information about ‘illegal religious groups’. 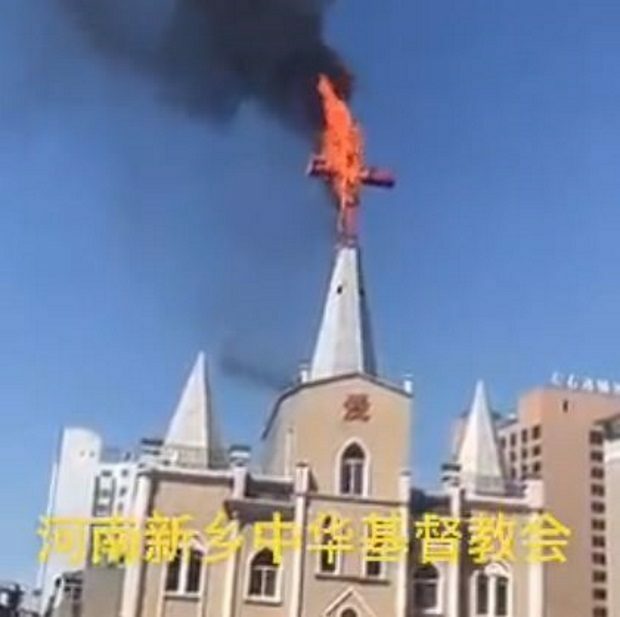 Up to 10,000 yuan (£11,000, $15,000) would be paid for verified information and assistance in hunting down key members and leaders of illegal foreign religious groups and revealing their structures, the religious affairs authority of Guangzhou said. The move comes as China’s ruling Communist Party continues to tighten its grip over faith communities. OTTAWA — A Chinese diplomat in Montreal tried to shut down an event at Concordia University featuring an exiled Muslim minority leader this week, says an organizer, marking China’s third recent attempt to influence activities on Canadian campuses. Kyle Matthews, executive director of the Montreal Institute for Genocide and Human Rights Studies at Concordia, said a diplomat from China’s consulate in Montreal contacted him and others demanding that an exiled Uyghur leader not appear in front of Canadian students. The government-led watchdog set up to vet Huawei products has given a damning report on the cybersecurity risks posed by the Chinese company’s involvement in the British telecommunications industry. The annual report published by the Huawei oversight board, which is chaired by the head of GCHQ’s National Cyber Security Centre, said it has found further “significant technical issues in Huawei’s engineering processes leading to new risks in the UK telecommunications networks”. The 46-page report did not call for a ban on Huawei’s equipment being used in the roll-out of next-generation 5G networks, which critics say could be exploited to allow Beijing to spy on communications in the UK. 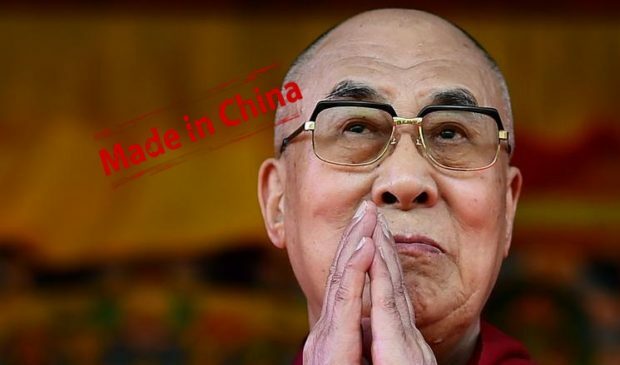 Huawei denies the accusations. The United States’ top general has claimed that Google’s work in China is ‘indirectly benefiting the Chinese military’. Marine General Joseph Dunford, chairman of the Joint Chiefs of Staff, hit out at the search engine giant as he spoke during a Senate Armed Services Committee hearing on Thursday. ‘We watch with great concern when industry partners work in China knowing that there is that indirect benefit,’ he said. That witticism is attributed to the Bolshevik leader Leon Trotsky, and the same applies to industrial policy, that is, government investment in industry. As a free marketeer I abhor industrial policy, except as a war measure. This is war, of sorts. I don’t think the United States and China will start shooting at each other at any time in the foreseeable future, but that isn’t the way this war will be fought. China is striving to dominate game-changing technologies starting with 5G broadband, but also including quantum computing, quantum communications, artificial intelligence, and others. If it succeeds, the United States will be poorer and weaker, and our alliances in Europe and Asia will crumble. We will resemble post-imperial Britain, a second-rate former great power. 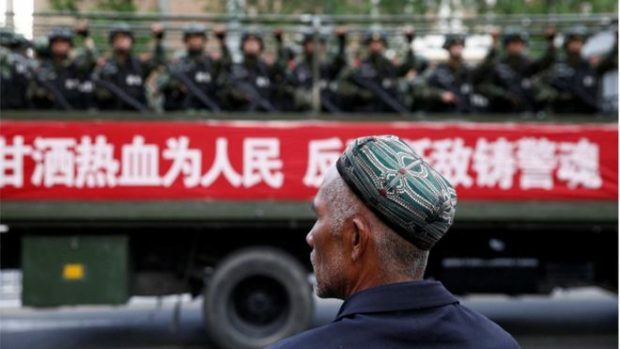 Local security policies had prevented a major terrorist attack in the region for more than two years, Xinjiang government chief Shohrat Zakir told a regional delegation meeting in Beijing on Tuesday. Even so, he said it was still too early to relax the campaign because separatism persisted in the region, which borders Afghanistan and Kazakhstan. US Ambassador to Germany Richard Grenell has reportedly warned the German government that Washington might limit intelligence sharing with Berlin if the latter allows Chinese tech giant Huawei Technologies Co. to build its next generation 5G mobile network. 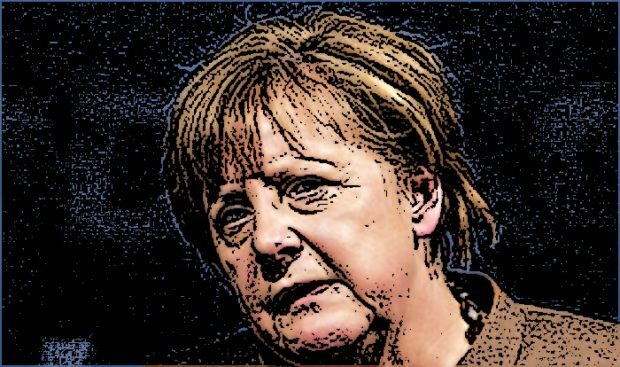 The Wall Street Journal reported earlier that Grenell had sent Economy Minister Peter Altmaier a threatening letter on 8 March. Was it a mistake, the work of a “rogue” visa officer, or a hidden government agenda to target a controversial telecommunications corporation? As a tense diplomatic standoff continues between Canada and China, two immigration experts are again pondering an unusual sequence of events that saw three of their Chinese clients denied permanent residence here because they belonged to an organization involved in espionage. That organization appeared to be Huawei Technologies, their employer. Justin will be so sad. Will Trudeau still ‘hang tough’ on Huawei? The global drama playing itself out for the international media, between Canada, China and the United States, continues to occasionally pop up in headlines, but the enormity of the stakes here seems lost on most observers. Popping up alongside stories about the continuing trade talks between the U.S. and China are ones regarding a criminal case for sanctions violations that may hold yet to be understood implications for everything from bilateral-international trade deals to 5G integration. 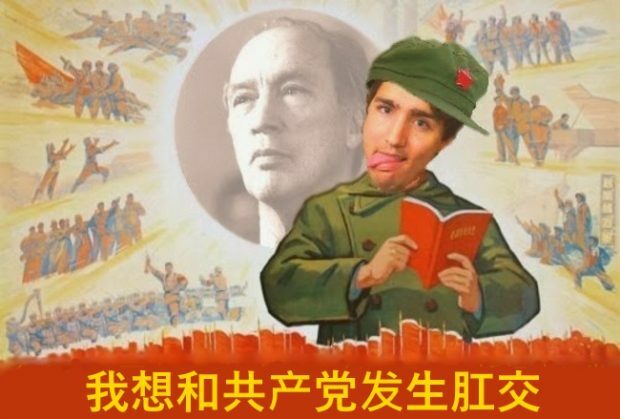 The LPC will happily sell us out to Communist China. Victor Gevers, a Dutch internet expert from the non-profit group GDI.Foundation, found the insecure data cache while searching for open databases in China. He posted a series of screenshots of it over the weekend. State intimidation and electronic surveillance can be highly effective. It’s affecting China’s 180,000 students in Canada, as well as journalists. What does a superpower do when pandas, private persuasion at the highest echelons and trumpeting the value of “harmony” are no longer winning global friends? If you’re the leaders of increasingly autocratic China, you clamp down, especially on your own people. You spread an evermore elaborate system of surveillance, monitoring and pressure on citizens in your home country and in foreign lands. 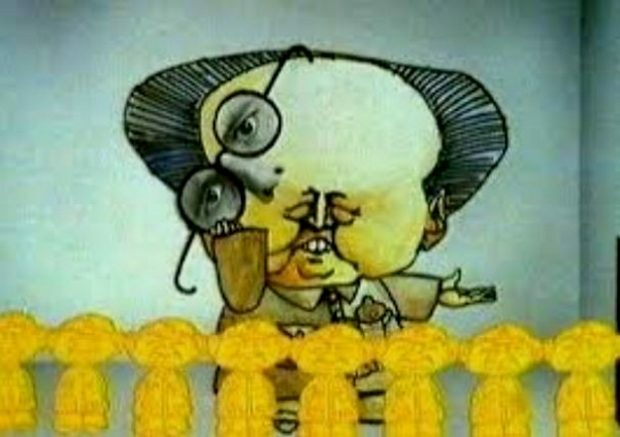 Beijing’s propaganda apparatus is pumping up the volume for its annual parliament meeting, with videos starring a rapper dropping rhymes about his “elation” for the session and an American waxing lyrical about the Chinese “system of democracy”. Chinese state media regularly rolls out clips targeted at foreign audiences during important political events, and this year’s production has again raised eyebrows among China watchers. Xinhua, China’s official news agency, co-produced a rap video entitled “‘Two Sessions’: To the World from China” to celebrate the annual meeting of the rubber-stamp parliament – the National People’s Congress – and the country’s top political advisory body. I bet Justin is enthralled. China has accused detained Canadian citizen Michael Kovrig of stealing state secrets passed on to him from another detained Canadian, Michael Spavor, in what is likely to further ramp up tension between Ottawa and Beijing. Businessman Spavor and former diplomat Kovrig were picked up in early December, shortly after Canada arrested Huawei Technologies executive Meng Wanzhou, who faces extradition to the United States and has filed a civil claim against Canadian authorities, including Ottawa. 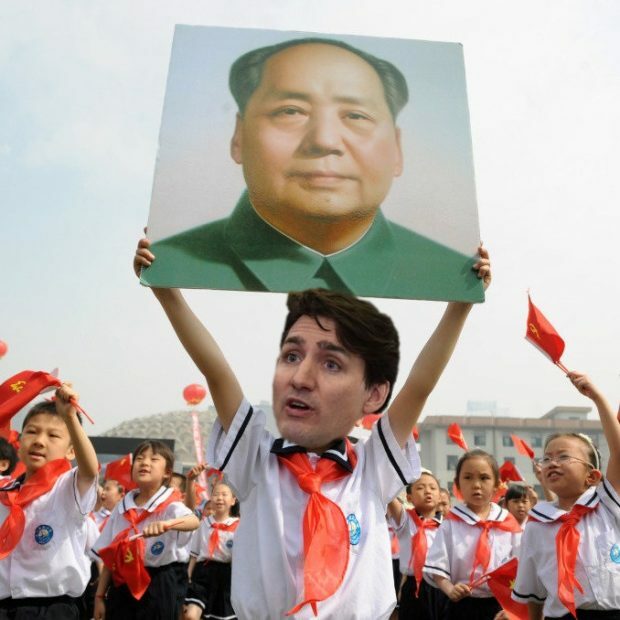 China has repeatedly demanded Meng be released, and reacted angrily last week when the Canadian government approved extradition proceedings against her. 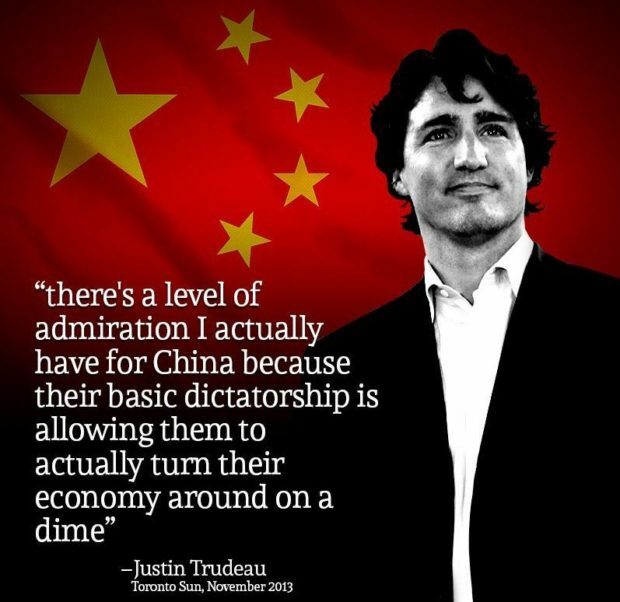 This is really cramping Justin’s desire to sell Canada out to China. Huawei executive Meng Wanzhou has filed a lawsuit against the federal government, as well as members of the Canada Border Services Agency and the RCMP, alleging “serious breaches” of her constitutional rights when she was detained at Vancouver International Airport on Dec. 1. 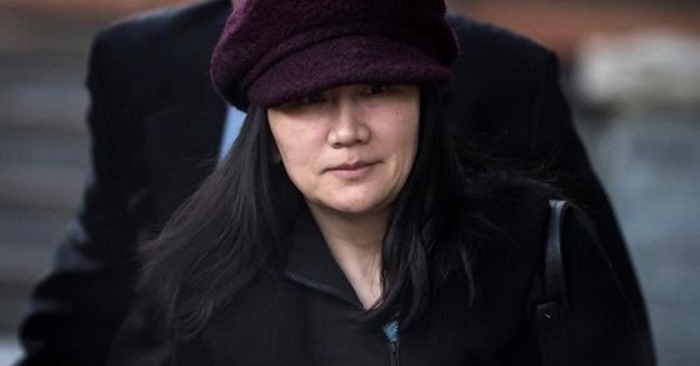 Ms. Meng, a Chinese citizen and chief financial officer of Huawei Technologies Co. Ltd., was arrested while changing planes in Vancouver, causing a diplomatic rift between Canada and China.